Teaching, using the Unit Study Method, comes more naturally to some than others. I find a topic that interests my children and I focus my time, attention and creative energy on pulling together every bit of information I can find on that topic. I have them read about it, eat something that reminds them of it or relates to it through food origin or recipe, look at pictures pertaining to it or watch a video of it; and take them somewhere that it is or was, etc. I exhaust my resources and immerse them in the topic. They complete the study; and I prepare to move on to the next vein of interest. Often a study is generated by something that caught our attention or piqued our interest from a previous study. Unit Studies are synonymous with In-depth Studies, covering numerous subjects at a time. They promote Investigation from several angles, Research, Application of skills learned; and invaluable Family Time. Creating a solid Unit Study can be quite time consuming, but not necessarily difficult; and using it is usually effective and rewarding. Although many educators truly like the idea of teaching through a Unit Study, the amount of preparation can be overwhelming. Once-a-Week Unit Studies from Homeschool Legacy, provide step-by-step instructions on how to use each fully prepared Unit Study. They were created by Sharon Gibson, an experienced homeschool mom with a passion for the benefits of using Unit Studies; and the verve to share their ease and flexibility. You just have to choose which of the 11 Studies currently available you want to do first. One of the main ideas behind Once-a-Week Unit Studies is to literally set aside every other regularly scheduled program for one-day-a-week to focus on Unit Study only. Presently, my children have away-from-home commitments on Tuesday and Thursday afternoon; so our “Unit Study Day” is Wednesday. Just like you, the first thing I had to do was choose which study I wanted. The individual studies range in price from $15.95 to $19.95 each, so cost wouldn’t really be a determining factor for me. 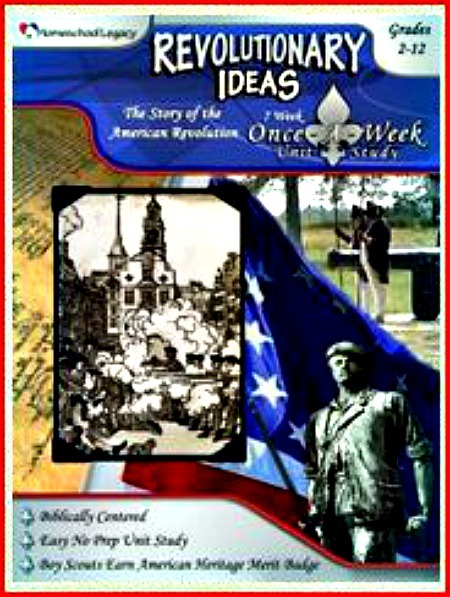 Revolutionary Ideas: the Story of the American Revolution is a perfect fit with our American History studies this year. The versatility of Once-a-Week Unit Studies permits them to be used as a stand-alone curriculum or as a compliment to what you’re already using. Unit Study Day begins with a Family Devotional Time that uses Scripture and commentary to highlight the topic. 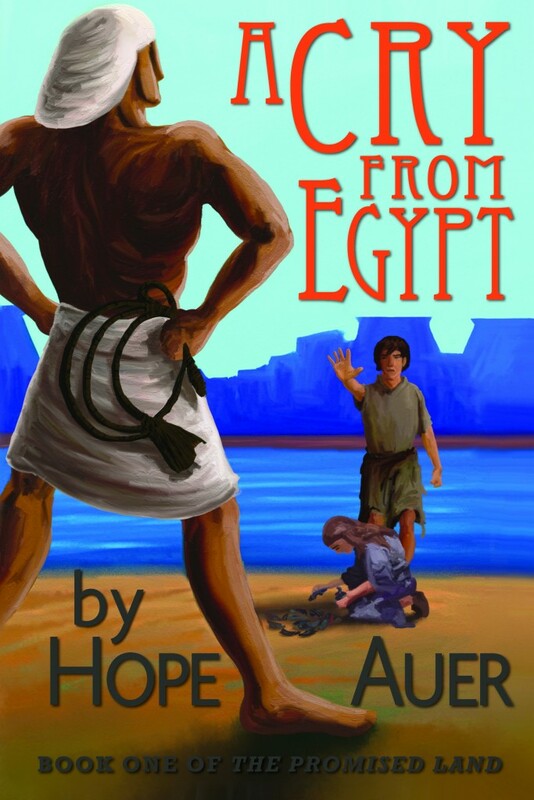 It is important to note that every Homeschool Legacy Unit Study is Biblically sound. For each of the seven weeks of study, Sharon Gibson has compiled an outstanding list of Classic and Award-winning Literature, Interesting & Informative Books, Biographies, Classic Movies, Documentaries; and more. “The books listed in the Pick & Choose Read-Alouds for Non-Readers” have been read and vetted to eliminate objectionable content. I really appreciate this! Another superior feature of Homeschool Legacy‘s Unit Studies is the fact that – because the recommended books and videos are listed in numerical and alphabetical Dewey decimal order, once we made our selections according to age and ability, they were easy to find at our local library. For the couple that weren’t available in our system of libraries, I followed the suggestion of noting the Dewey decimal numbers on the books that are listed, and checked the library shelf in the same section for any books that explored the week’s focal topic. This is a no-stress guide to learning. It is completely teacher/student driven, and flexible to each family’s needs. Clear instructions are given on how to make a Timeline Notebook. This is a wonderful idea for any age, but especially when it is established with young children and maintained through the years. It can be used for many subjects, takes up far less room than a timeline on the wall; and sincerely helps to visually tie past events, places and people together. After Family Devotions, Unit Study Day is generally spent on inexpensive, interactive and engaging activities that keep the focus of the day squarely on the topic. Reading and writing assignments, experiments, outdoor adventuring, oral presentations, map work; and other hands-on activities are suggested and detailed for each week. My kids were excited about using the Revolutionary Ideas Unit Study as soon as they learned that the suggested game for Week 1 is RISK! It is one of their favorite games, but inevitably it takes forever to play; so it doesn’t get played as often as they’d like. As far as they were concerned, here it was listed as a must for Game Night! I put up a little fuss, just so they don’t pick up on the fact that I’m thrilled with continuing education long after school hours are passed. Week 5 had us read The Declaration of Independence in its entirety. I think every home in America should do this once a year. We went online and looked up John Trumbull’s painting of the “Signing of the Declaration of Independence.” Before our Unit Study Day, I went to the bank and bought a two-dollar bill for each of the children working through the study. We used a magnifying glass to look at the incredible detail of the painting on the back of the two-dollar bill. We tried to identify some of the Signers pictured and then recapped a brief history, thought or idea for each of them. I think the general retention of the information will be greater because of the hands-on activities we did. Anytime you can utilize more than one of your senses while learning, you foster the possibility for optimal retention and recall of the material. To date, this was our best week! We have yet to finish Revolutionary Ideas: the Story of the American Revolution, but I already know that one of the veins of interest we’ll follow will be from Week 6. In our Family Devotional Time, we read that “George Washington had prayed for a much needed ‘signal stroke of providence.” God answered that prayer in the form of a major victory. In response to that victory, the Continental Congress called for a “Day of Thanksgiving and Praise to God.” They also recommended that everyone confess and ask forgiveness of their sins so that God would be able to pour out His blessings upon America.” We will pursue this topic right into Thanksgiving 2012. A unique aspect of Homeschool Legacy‘s Once-a-Week Unit Studies, that I wasn’t able to utilize, is the potential for Boy Scouts and American Heritage Girls to earn corresponding merit badges when assignments are completed as designed. I don’t have Boy Scouts or AH Girls. For further details you can Contact Sharon@HomeschoolLegacy.com or call – 828-685-7215. Homeschool Legacy is in Hendersonville, NC. My Schoolhouse Review Crew mates had an opportunity to review different Once-a-Week Unit Studies. You can read their reviews when you click on the banner below. If you’ve never gotten around to doing a Unit Study, now is the time. I believe you can trust Homeschool Legacy to help you build a family legacy of learning that pleases The Lord. The present state of our great nation compels me to wholeheartedly suggest that you begin with Revolutionary Ideas. Knowing our past and acknowledging our foundation is vital to our future. Disclaimer* I received a PDF formatted copy of Revolutionary Ideas: The Story of the American Revolution, in exchange for my honest review; as a member of the Schoolhouse Review Crew. I receive no other compensation for my reviews on this blog. The opinions expressed are my own. 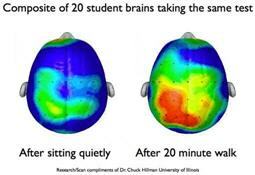 Everyone needs daily physical activity. Generally, our level of physical fitness reflects the state of our overall health, and the body’s fitness is usually determined by the amount of physical work we do. Many of our ancestors physically worked hard every day. They were naturally active. Technological progress has changed the very nature of work. Often, we sit at work and then, we sit at home. Establishing a regimen of consistent physical exercise has the potential to improve our health, well-being and life expectancy. Yet, it seems so difficult to implement. I’m hoping that if I start a program with my children, now, maybe it will become such a habit that they will continue it into adulthood. The experts estimate that “by 2015 75% of all US kids, adolescents and adults will be overweight or obese.” That’s a statistic I’d rather not have a direct connection to. 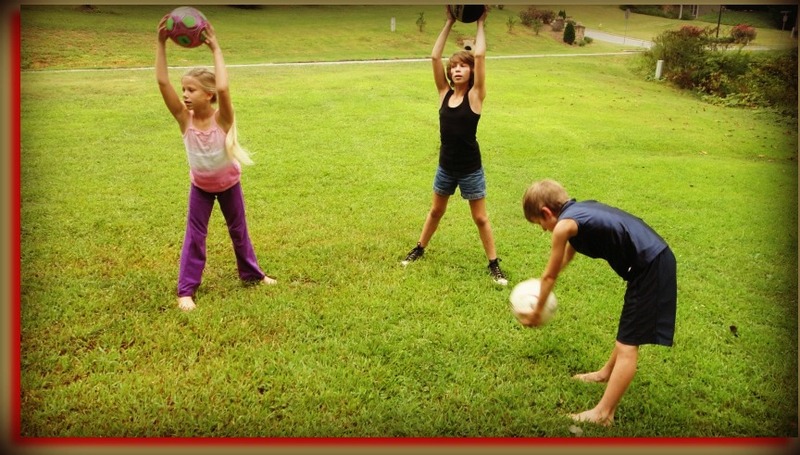 Family Time Fitness is Physical Education for everyone, but with their Fitness 4 Homeschool Curriculum it is especially for the Home School. 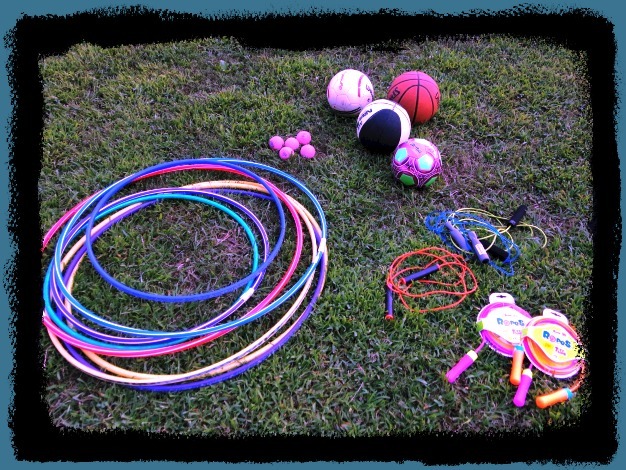 Designed for grades K through 8th, Family Time Fitness utilizes the Guided Discovery Method to teach Movement Education. “Guided Discovery is based on providing simple instruction then allowing children to explore movements on their own.” Guided Discovery is approved by the International Youth Conditioning Association. Each of the 260 lessons is clearly outlined with written instructions and video examples to follow. Who can Hula Hoop the Longest? The lessons are structured to provide 25-45 minutes of physical activity, with an additional 15-30 minutes of outdoor play included for a full 60 minutes of moderate to vigorous exercise daily. On average, it is taking us an entire hour just to accomplish the 25-45 minute activity. Sometimes for fun, they do the 15-30 minute play, later in the day. Other days, lack of time doesn’t allow us to do anymore PE for the day. This program is flexible to any schedule, adaptable to any level of fitness and can be easily modified to meet each family’s needs. 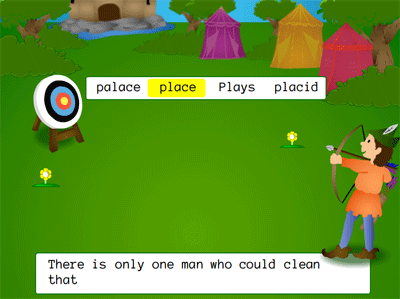 It is recommended that Fitness 4 Homeschool be used at the same time each day, 5 days a week. Presently, we are only using it 2 to 3 times a week. Believing that “physical activity helps activate the brain and improves on task behavior,” we have set our family fitness time first thing in the morning; after face washing and teeth brushing, but before breakfast and school. Starting after breakfast tends to churn up breakfast-in-the-belly because this, seriously, is a workout! A Tracking Calendar is provided. 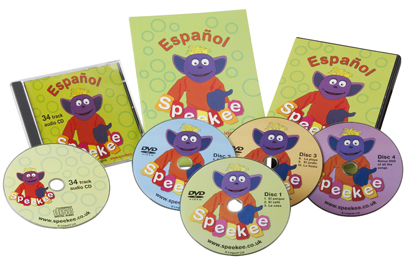 It can be copied and used for record keeping, as well as encouragement when a lesson is completed. Other tools to assist you include: a Daily Food Diary, Grocery List, a Meal Planner; and a Nutrition Log. 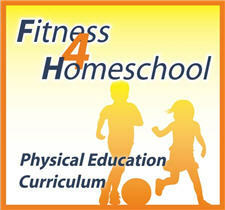 I have the PDF version of Fitness 4 Homeschool – Core 1 Physical Education Curriculum. Paying a one time fee of $57 will give you access for a lifetime. One of my favorite things in this format is the One Page Summaries. 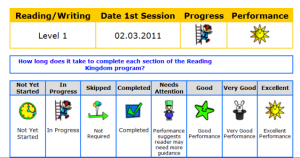 One Page Summaries provide an overview of each lesson. They were actually created to save on print costs. How considerate! You print one page and use it as a reference guide for the lesson you reviewed. The lessons are formatted for the iPad and smartphones, too! That’s another print saver. It’s my intention to continue with Family Time Fitness and promote a few good habits with my children. My youngest daughter loves “exercising and playing together.” Her favorite activity is actually a Warm-up: “Popcorn.” The child lies flat on her back with her arms extended over her head. She brings her knees to her chest, holding her legs with her arms wrapped around them. She lifts her head as close to her knees as possible, holding that position to the count of 10. Then, she “pops out” and back to the starting position! My son gets distracted waiting for the set up or instruction for the next game. He’s also extremely competitive and has to be reminded that every activity is not a contest against one of his siblings. I’m looking forward to the improvement in his skill level, but also a positive change in his attitude. Please, follow the links I’ve provided throughout this post; including the banner below that directs you to the Schoolhouse Review Crew Blog and my Crew mates reviews. Disclaimer* I received the Fitness 4 Homeschool – Core 1 Education Curriculum, in exchange for my honest review; as a member of the Schoolhouse Review Crew. I receive no other compensation for my reviews on this blog. The opinions expressed are my own. Thomas Jefferson is quoted as saying, “A morsel of genuine history is a thing so rare as to be always valuable.” To understand where we are today, I believe we must know something of our yesterdays. I think Family History, US History, and World History are vital to our survival and growth as individuals and as a nation. We read and write about history, build time-lines; and visit battle fields, cemeteries, national monuments and re-enactments. All of this enhances the learning of our history, and so does Marshall Publishing. Marshall Publishing and Promotions, Inc. is a multifaceted media publishing organization whose management team has 30 years of experience, successfully producing and representing television and home video programs written for all ages. You may already be familiar with their trademarked, AS SEEN ON TV “Lots and Lots of” brand DVD’s and books. In 2011, I reviewed their George Washington Carver DVD and was pleased with their reliability; so I was quite interested in adding the content of the America in the 1880’s – A Decade of Progress DVD to our on-going study of US History this year. Look at the cover of the DVD, how many people do you recognize? Many are well-known today and several are actually famous over 100 years later. This film is compiled of photographs, historical footage, and re-enactments; for 4th grade through adult. We watched it as a family. We easily recognized Buffalo Bill Cody on the front, but wasn’t sure if that was Geronimo beside him or not. Susan B. Anthony and the Brooklyn Bridge was easy, too. My older son recognized the outlaws because he previously studied their lives independently, and I tagged Sarah Bernhardt and Mark Twain. After we watched the video we were surprised that there wasn’t a train on the front cover. The 1880’s saw the height of railroad travel. You could get from coast to coast in 7 days! There are fascinating snippets packed into this DVD, and this caused two things to occur for us. First, because the details are few we found ourselves wanting to research our own special interests; secondly, we seem to recall the people, places and events more readily than when we’re bogged down with extra information. The 1880’s was a marvelous, often overlooked decade; with a vast array of remarkable people and major events. The circus, theater troupes, and big music alongside life-changing inventions, gun-slinging outlaws, and outrageous clothing designs! Four states joined the union and while that might have been significant in itself, the fact that the population increased to 63 million by 1890, largely because of the warm welcome given to European immigrants, from its humble 13 million souls in 1880, is astounding! Using the Study Guide that’s included, our discussion led us to note that although there’s been major changes in technology in the same number of years, and advances in other areas during other time periods, the accomplishments of so many in different areas, all in the same time frame is unrivaled. America in the 1880’s covers History, Geography and Culture through a decade of wonder. There is also an archival documentary short film about the life of Alexander Graham Bell, his work with the deaf and the invention of the telephone, as a bonus feature of this DVD. Approx. 60 total min. This DVD, and the correlated Study Guide, is on sale now for $19.95, plus FREE shipping when you use coupon code TOS27 at checkout. 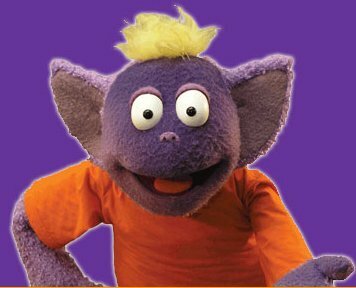 Marshall Publishing & Promotions, Inc.
Marshall Publishing – the place to find “Lots & Lots of…” fun, entertainment, education, and amusement for the whole family! Besides, America in the 1880’s – A Decade of Progress, my Crew mates reviewed the 2 DVD Set – Lots & Lots of Playful Penguins and their Toe-Tappin’ Happy Feet, and Lots & Lots of Penguins in the Wild!, The Historic Expedition of Lewis & Clark – We Proceed On! ; and The History of The Oregon Trail & The Pony Express. 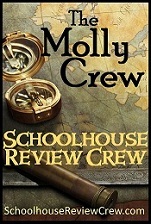 You can read each of their reviews when you click the banner below and follow the link to the Schoolhouse Review Crew Blog. Disclaimer* I received the DVD, America in the 1880’s – A Decade of Progress, in exchange for my honest review; as a member of the Schoolhouse Review Crew. I receive no other compensation for my reviews on this blog. The opinions expressed are my own. Most of us relate 911 to the US emergency number. In our house, we seem to operate in a perpetual state of Mathematics emergency. I just never feel like we are fully equipped, especially for higher math. Therefore, I was thrilled to discover the aid offered by Professor Martin Weissman and his Math 911 tutorial software! Professor Weissman has been teaching Mathematics since 1963 and his passion for it has not waned. He says, “Each start of a new year gives me an opportunity to incorporate new ideas and methods to help my students overcome their fears of Mathematics and finally master the subject.” I appreciate the fact that he acknowledges that Math unsettles some of us, even to the point that we may fear it. He also validates my own teaching approach, Mastery Learning, by utilizing the same method in his software program – the keep-trying-until-you-get-it approach. Wrong answers don’t count! The end result of the knowledge gained and retained is the ultimate goal. The Standard Version of Math 911 can be downloaded from the upper left side of the website, where it says, “Complete Introductory Algebra Course, Click Here, Download, Install…” It’s FREE! Then, you can upgrade to the Premier Version, where you receive access to all the additional Mathematics Courses listed above. The Premier Version includes separate grade reports, printable or copied to Word, for each user in the family; and lifetime updates. 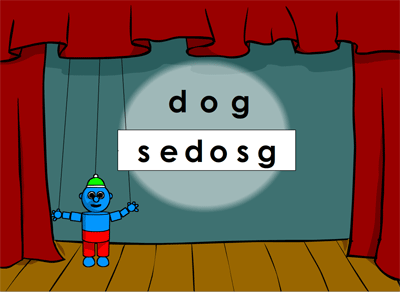 For my review of this software, I chose to use the program myself. I’ve sort of been limping along for years, teaching Math to my children; so I decided they would benefit first by my education and then by direct application. I really like Math 911! It suits my temperament. After it is downloaded, a desktop icon appears on the computer and it’s through this gateway that one gains access to a course. I started with Introductory Algebra, knowing that I could move through the lessons at my own pace. I was pleasantly surprised to see how quickly I mastered many of the lessons based on previous knowledge. You complete a problem and press enter. If correct, you see a green check and the word Right! If incorrect, the correct answer is shown, and you are given the option to click a button to see how the problem was worked or click new problem. If I lacked any assurance of how I arrived at an answer or if I just didn’t remember a concept, I viewed the step-by-step solution. Answers aren’t marked wrong. You work through problems until you get enough correct to count the level as mastered, then you move on. The Introductory Algebra course is the only one that has instructional PDF-formatted modules available [see Intro To Whole Numbers, Addition & Subtraction, Multiplication Factors, and More directly under Screen Shots on the left side of the webpage] giving you the benefit of Professor Weissman’s teaching. He maintains, though, that one learns best by working problems and seeing examples of their solutions, over and over again, as needed. Practice. Clear. Simple. No gaming or flashy graphics. The fun is in the learning! I am still working through the 11 chapters of Introductory Algebra, because I added Statistics, too. It’s easy to switch to a new course. Each one of the Six Courses offered is listed on your home page, along with other data: What Version of the program you’re using, how many minutes you’ve spent on the program, what course you’re presently using, which lessons are available; and which ones you’ve completed. When you click on a new course, Math 911 acknowledges it and proceeds to close, while directing you to click on the desktop icon again. The program re-opens on the new course. I’ve never taken a Statistics course before, and it is consuming. I’m really trying to apply myself to the study. I’ve written pages of notes from solutions, and the only problem I have with Math 911 is finding the time to do it. It’s my goal to ace the courses, hoping to pass CLEP Exams for college credit after completing them. Math 911 is on sale, as a Student Special that includes a FREE USB Version, for $49.95. This is a great value, but more remarkably, for a limited time Professor Weissman is offering a Homeschool promotion – follow this link: www.AlgebraInAFlash.com > buy now and enter the code homeschool at Google checkout – you’ll receive the flash version for just $9.95. Professor Weissman is personally accessible and generously tries to respond to comments, suggestions or questions within 24 hours. His level of Customer Service is noteworthy. He is understanding, kind and helpful. You can contact him by email ~ mathprof@math911.com, phone ~ 347.528.7837, or standard mail ~ Professor Martin Weissman, Professor Weissman’s Software, 246 Crafton Avenue, Staten Island, NY 10314.
read what my Crew mates have to say about Math 911. Disclaimer* I received a complete download, not a flash drive, of Math 911 in exchange for my honest review, as a member of the Schoolhouse Review Crew. I receive no other compensation for my reviews on this blog. The opinions expressed are my own. Econobusters is a website dedicated to busting free from this economy, with Molly Green. Molly shares frugal tips, recipes, advice and more to help you maintain balance in your home and life, while saving all the “green” you can. Now, Molly has her very own product review crew, built on the standards you’ve come to rely on from the Schoolhouse Review Crew. Drum roll, please… This is the first product review for The Molly Crew! What could be better than everyday homemaking? Isn’t that just what we’re trying to do everyday – create, maintain, or improve our home and life? I basically grew up in a single-parent household. My dad was career Army and my mother raised us alone. I was well-loved, but unprepared for adult life in many ways. I felt like I was given a good foundation for motherhood, but not homemaking or housekeeping. Vicki Bentley is the author of Everyday Homemaking. Her biography begins with the little tidbit of information that “she is the mother of eight daughters, foster mom of over fifty, and grandma to fifteen wonderful grandbabies.” Wah! As you read further, you discover that she was able to homeschool 17 children, alongside her husband Jim, and was still able to “open the front door to guests.” I have only seven children still living at home–they’re not babies–and more times than not, I meet my guests on the porch. The Lord wants us to practice hospitality, but my lack of housekeeping skills often prevents me from doing so, and that’s sad. I am awestruck at what Vicki’s been able to successfully accomplish in her life! I wish we had been next-door neighbors when my older ones were growing up, but I’m grateful for the positive impact that she’s had on my life from this point. One of The Molly Crew’s choices for review was Vicki’s Everyday Cooking – a collection of tried-and-true recipes… The e-book format is $14.99. I’m looking forward to reading my Crew mates reviews of this book, since I chose to review The Everyday Family Chore System. I chose to review this book because the first words I read said, “Household management training!” Vicki Bentley actually explains that her intentions are for it to be a springboard…to encourage and provide tools to help you mentor your children in what it means to be a responsible, caring, sharing part of your family.” This was my first ray of hope that all was not lost, because these are the characteristics my older children display. I was immediately reminded of Proverbs 22:6, “Train up a child in the way he should go…” This is a foundational truth. I appreciate that there are Biblical references throughout this book. Somewhere, over the past several years I recognize that I’ve become careless in my child training. The facts are that the reasons for establishing a family chore system are more than having your home clean and organized. Although, my husband would say this is prime, at the moment; and rightly so. It also presents a way for us to faithfully serve one another, and provides an opportunity for me to teach vital life skills to my children. Before now, I had no plan; consequently some of these areas have been neglected and are quite weak. in the system — the How-to-do-it Cards. She highlights several different ideas of how to implement the Everyday Family Chore System. Even though we already have a chore system based on a rotation schedule, I chose to follow her suggestions and make a new chore chart. I used a magnetic white board, because I already had it, and I purchased colored magnetic material that I could write names and chores on; and cut apart. If I were starting from scratch, I think I would be tempted to use the magnetic wall paint I saw in the craft store. It looks so cool! It allows you to make nearly anything magnetic and then paint over it with the color of your choice! Ultimately, the chart itself worked similarly to the one we were already using. 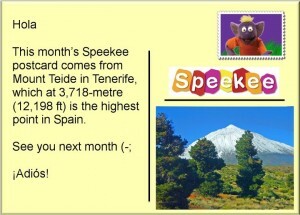 However, the concept of the How-to-do-it Cards, although simple, is remarkable. It changes everything! Especially, if you’re just starting to train your child. The strength of the Everyday Family Chore System, for me, is found in Vicki Bentley’s ability to fill a gap for parents. She challenges parents to model behavior, and to have a clear definition of what it means to train and to discipline. She guides them to an understanding of basic foundational principles, that might never have been considered; backing every truth with scripture. She teaches parents how to train their children. She is so generous with her knowledge and information–I just read the Basic Foundational Principles on her blog the other day. She has been blessed and she is a blessing. This book is available coil bound – $19.99 or 91 pages in e-book format for $17.99. To read additional reviews by my Crew mates, click the banner below. 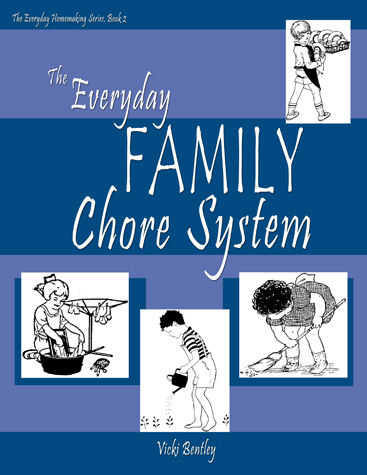 Disclaimer* I was given The Everyday Family Chore System e-book in exchange for my honest review, as a member of the Schoolhouse Review Crew. I receive no other compensation for my reviews on this blog. The opinions expressed are my own.